After a disastrous start to the season, the waters are much calmer now at West Ham United Football Club. A series of results have seen the Hammers go on an unbeaten run, in all competitions and the Hammers support are hoping that run can be extended, this Friday night when they travel to the south coast to take on Brighton. However, it shouldn’t be forgotten that the Hammers have started this campaign without two of their regular first team squad members, Manuel Lanzini and Andy Carroll. According to the news source, the Mirror, the latter of the two is close to returning from injury. With a second international break, of the 2018 / 2019 season, almost upon us, our referenced source is reporting that Carroll could be available for selection once the latest round of international fixtures have been completed. 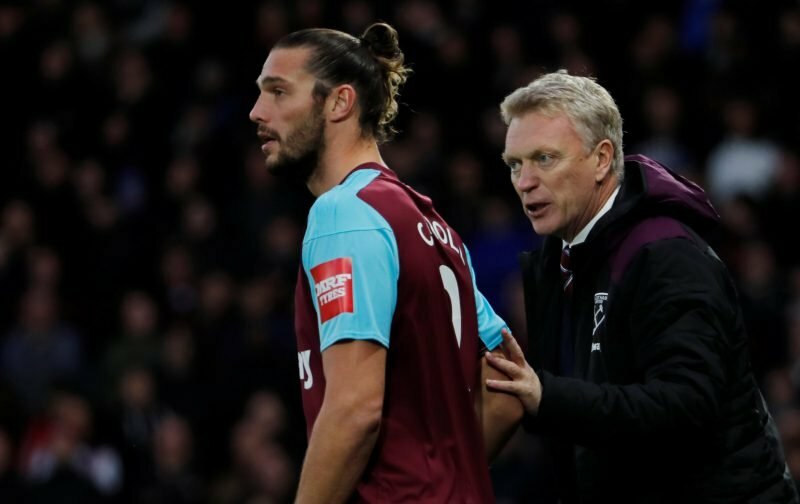 Carroll, it should be pointed out, has been absent, courtesy of injury, from the first team squad since May, this particular absence being the latest in a long line of injuries that have affected his career. But, how will his return to the squad be welcomed by the Hammers support? Although previously, I’ve championed the suggestion that Carroll gives West Ham another option, coming off the bench, I’m not sure that Manuel Pellegrini favours a system where, in troubled times, balls are just launched long in the hope an aerial onslaught pays dividends. But, if the club decides that Carroll isn’t part of their long-term plans you have to ask yourselves another important question. If the club were to sell the striker just how much would he fetch in the transfer market today? Or more importantly, would there be a club out there willing to take the risk of signing somebody who, on his day, can be a real threat, but is prone to picking up injuries that keep him sidelined for considerable periods of time. I guess the next couple of months, through to the end of January, could be interesting. But and here’s where we are asking for you to pitch in, what do you feel the future holds for Andy Carroll? Marko already has some problem and he will need resting at some point. Andy can come on for the last 20 mins and batter teams. He will then be able to slowly build up his fitness and be ready (if needed) to give Marko a rest. I will be delighted to see him back and just hope he can stay injury free. When fit he is unplayable and will give the opposition plenty to think about.